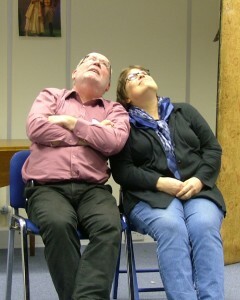 Exploring the art of storytelling in performance with one of the leading improvisation teachers in the country. The group meets weekly and performs regularly. The weekly workshop focuses on techniques and formats and acts as the ‘welcome’ point for new members and allows more experienced performers to go ‘back to basics’. 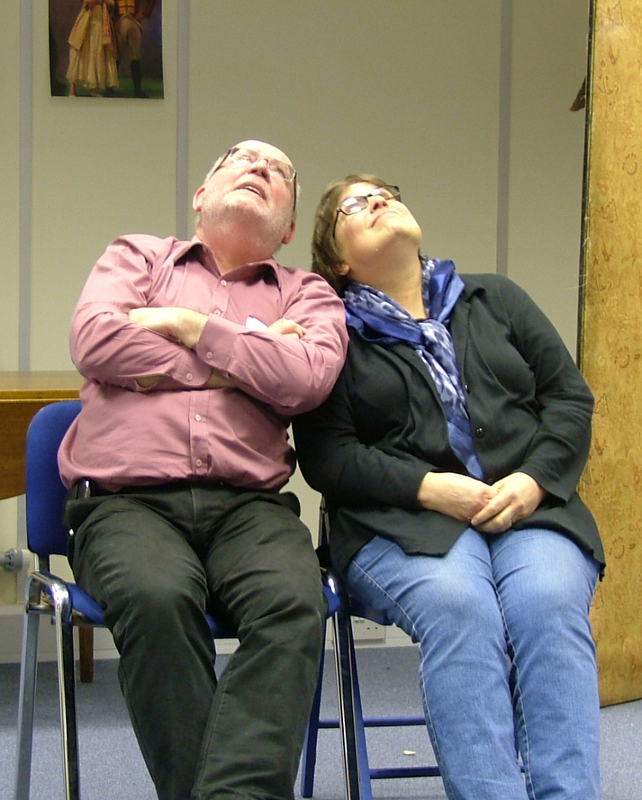 Smaller group sessions allow members to explore different impro styles that appeal to them – such as comedy impro, short-form or long-form. There are also some weekend half-day and day-long workshops giving more time to explore the full range of impro theatre, mime, masks, etc. For more details email Jon Oram. 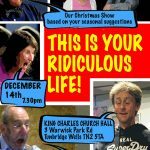 This Is Your Ridiculous Life! A lively evening of improvisation. See Christmas in a whole different light. Perhaps re-live some Christmases Past or catch glimpse of Christmas Future. Enjoy Christmas Present (we hope). Donation bar available – mulled wine, non-alcoholic mulled fruit juice, mince pies. 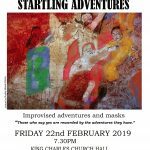 “Those who say yes are rewarded by the adventures they have.”A lively evening of improvisation. 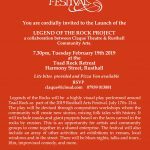 Legend of the Rocks – Community Play Project. 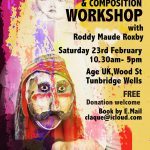 Lead by celebrated improviser, mask player, and actor Roddy Maude-Roxby – and as part of the build-up to the first fully devised community play project at Toad Rock, Rusthall this summer – this workshop is free and open to all.